Founders have uncommon drive and ambition. At Accel, we’re fortunate to back many impressive founders who are building marquee technology companies — so we understand that much of the entrepreneurial journey is about hanging onto inspiration to overcome adversity. We recently filmed some accomplished founders sharing their origin story and the purpose that fuels them on their journey. We hope this perspective is useful for people on a journey of their own. Here is the origin story for Lynda Weinman and Bruce Heavin, co-founders of Lynda.com. Lynda.com is an online learning platform that helps anyone learn business, software, technology and creative skills to acquire new skills, advance their career and expand their mind. Over 6,200 courses are available, taught by recognized industry experts. The company was acquired by LinkedIn for $1.5 billion in 2015 and Lynda.com now serves more than 10,000 organizations. The company is headquartered in Carpinteria, California. When Lynda and Bruce began collaborating more than twenty years ago, they didn’t set out to build the global learning platform we know today as Lynda.com. They were just following their love for education and design. Their origin story mirrors many we see at Accel: companies that emerge from the unintentional. Books were their first medium, building great how-to content for the emerging discipline of desktop and web publishing. The material was compelling, and Lynda and Bruce found solid success with their earliest works. But books had their limits, and increasingly, Lynda was finding more success in communicating the material through her live, in-person lectures. Education was their real driving passion — and they had an idea about how to make it better. Learning should be self-motivated. People should have choices around what they want to learn, and how they’re going to learn it. Curricula should be easily explained, accessible, approachable and affordable. They quickly realized that there was a great business model that could support this passion. Under their leadership, this business grew and grew and was eventually acquired by LinkedIn for $1.5 billion in 2015. 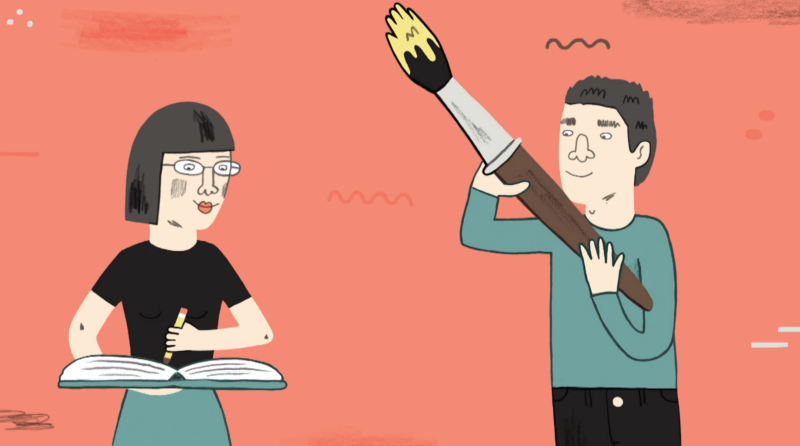 If took some time for Lynda and Bruce to figure out how they wanted to pursue their passion. Part of embracing their true calling in life was reflecting on all the formative experiences in their lives that had shaped them into the entrepreneurs they wanted to be. When Bruce was a student in school, he had a hard time communicating with other kids; Lynda came from a broken home, and she learned to find ways to keep the peace with many difficult personalities. Together, Bruce the artist and Lynda the teacher, the two found they brought out different strengths in each other. In the end, their journey helped them to find and tap into their personal passion. That passion is what gave them personal ownership over the kind of company they wanted to create. And that’s what guided them as they built a great company over the long-term.